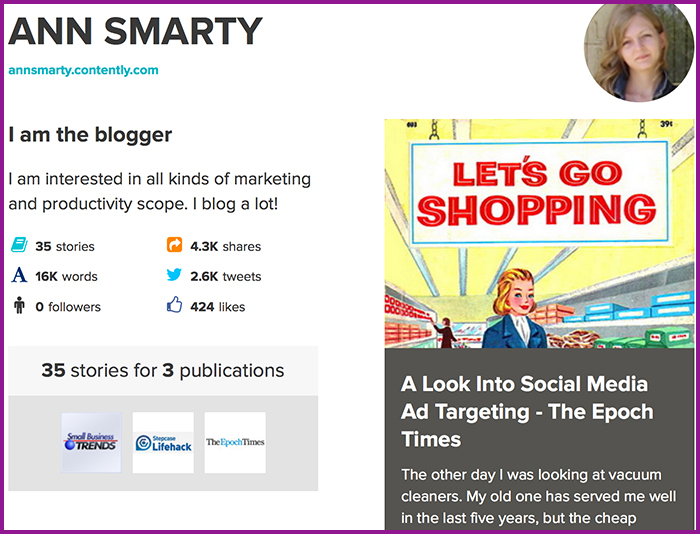 Content marketing is what’s hot today. Everyone realizes that content is the basis of any other marketing tactic you are thinking of, so everyone is into content nowadays. As a result consumers are dealing with the huge overload of content – which means attracting attention and building loyalty through content is harder and harder. That’s a very new tool that lets you join, add the columns where you contribute. Contently will them aggregate your contributions across added platforms and create a neat-looking magazine-style portfolio. It looks like a good way to aggregate your contributions all over the web, something similar to what I was building earlier, but much easier to accomplish. 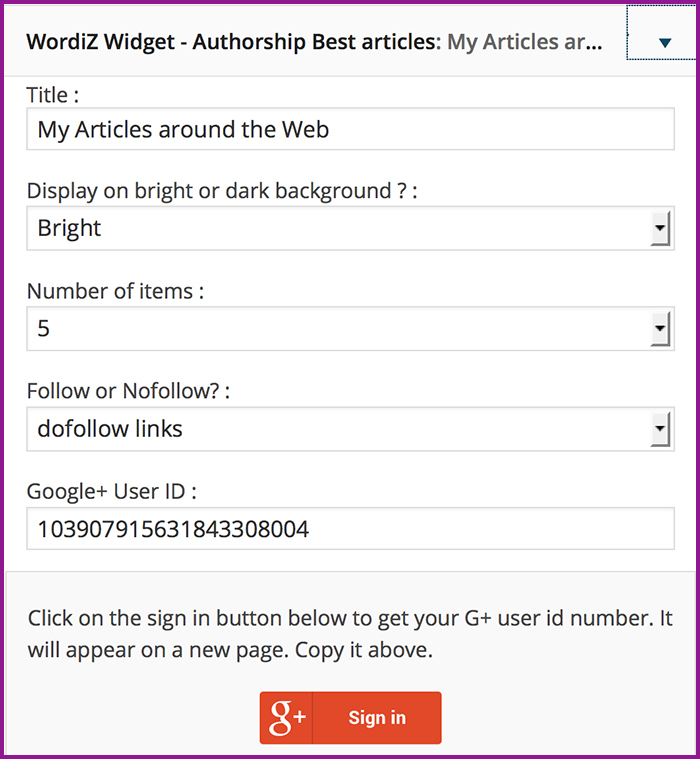 WordIz goes through your sites in Google Plus “Contributor to” section, finds articles signed with your Google Plus link, ranks them by the number of social media shares they accumulated and shows most popular of your articles in your blog sidebar. 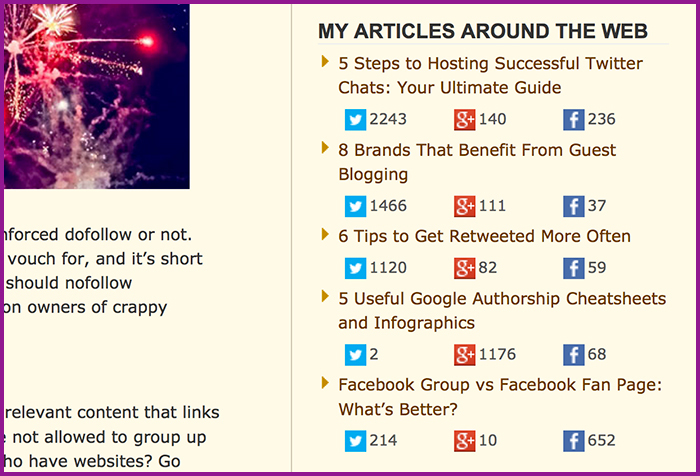 This way you can leverage your blog community to build popularity of your articles across the web, hence consolidating your efforts. Making sure your content spreads is as essential as creating great content. You cannot automate everything but some of these tools and tips will at least help you scale some part of the process!